On a large rimmed baking sheet, toss broccoli with 1 tablespoon olive oil and 1/4 teaspoon each salt and pepper. Roast for 5 minutes. In a bowl, toss shrimp with 1 tablespoon olive oil, lemon zest, red chili, and 1/4 teaspoon each salt and pepper. Scatter over the partially cooked broccoli and roast until the shrimp are opaque throughout and the broccoli begins to crisp, 9 to 11 minutes. Heat 1 tablespoon oil and garlic over medium-low heat until beginning to toast. Add white beans, thyme, and chicken broth and bring to a simmer. Roughly mash 1/3 of the beans to thicken slightly. Serve with the shrimp, broccoli, and lemon wedges, if desired. 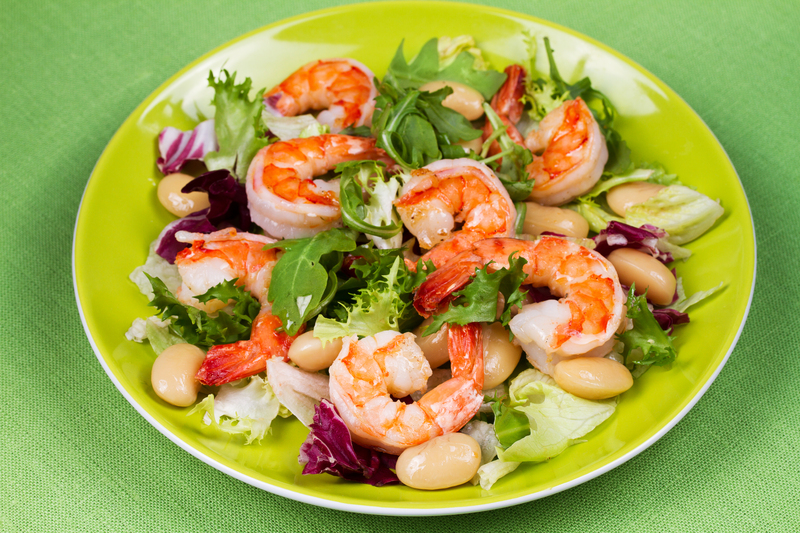 Enjoy the Roasted Shrimp and White Beans!